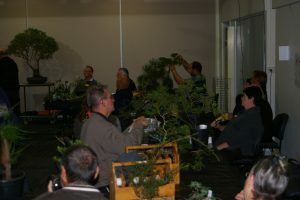 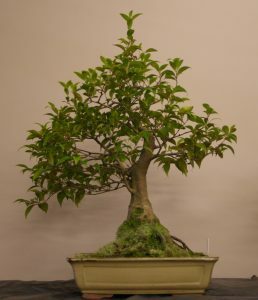 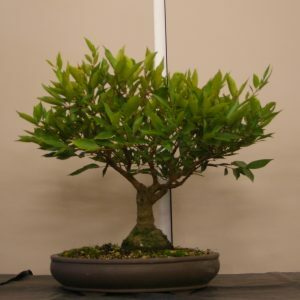 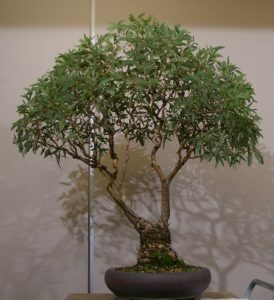 This month, the club meeting featured a workshop night, with a critique and discussion of trees on display, and some of the trees brought by members for the workshop. 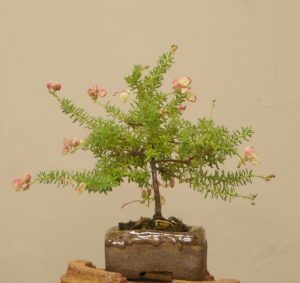 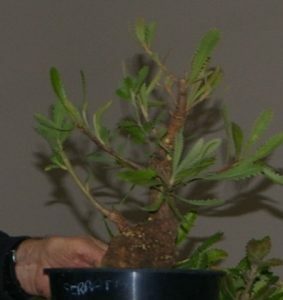 The trees on display included a variety of species and stages of development. 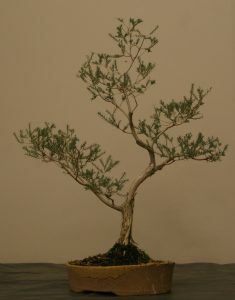 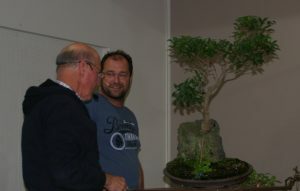 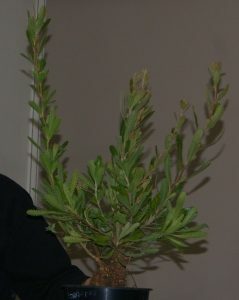 Several of the trees brought for the workshop were reviewed and styled as part of the broad group discussions. 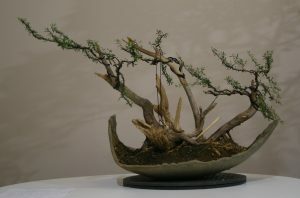 That’s a tree in a rock – now what could be done with it?